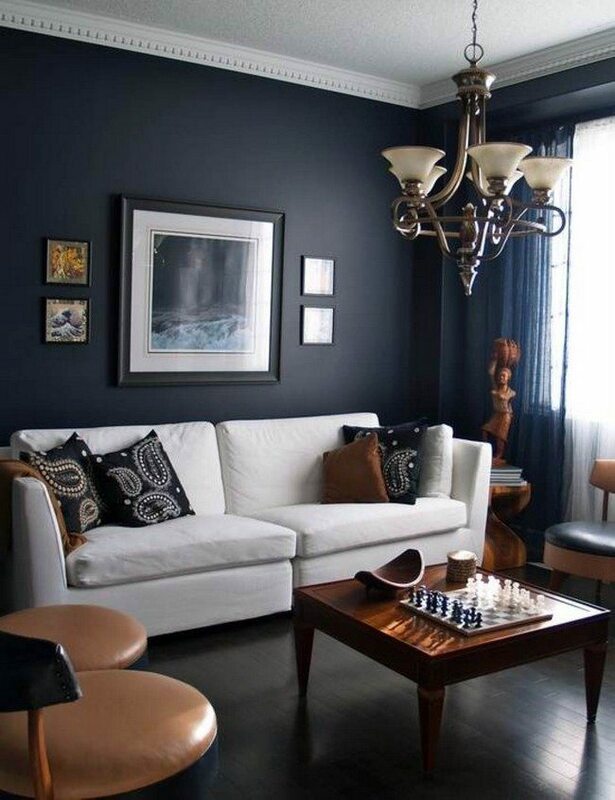 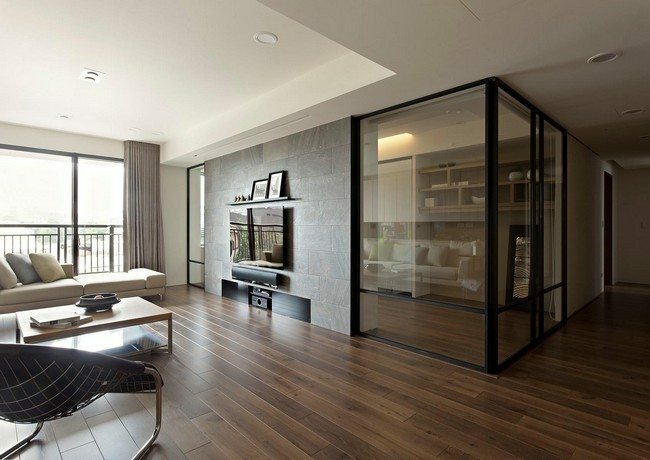 This living room uses grey in dark hues. 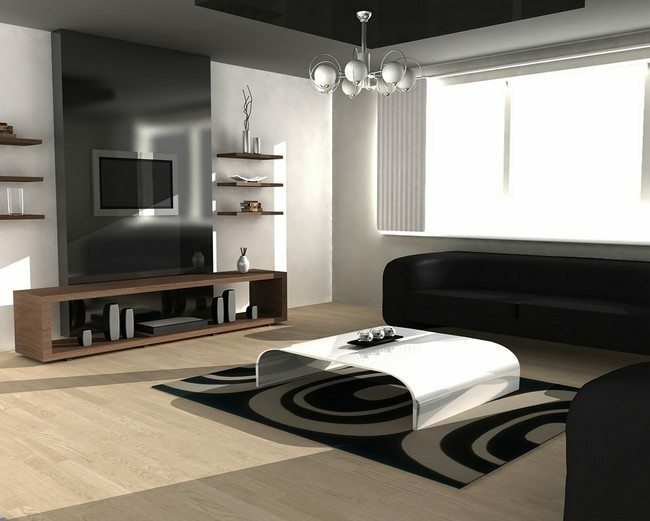 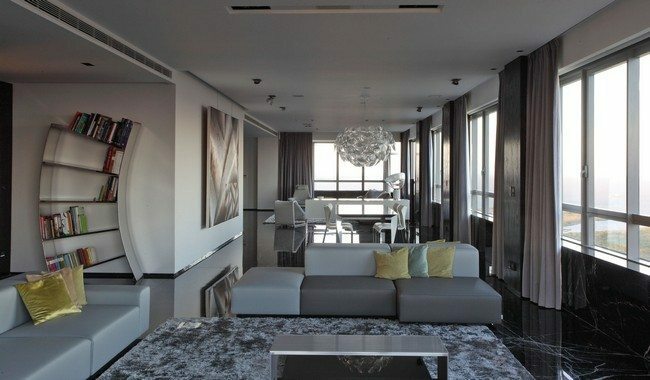 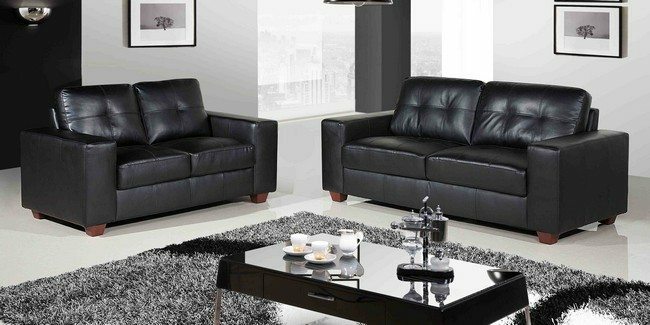 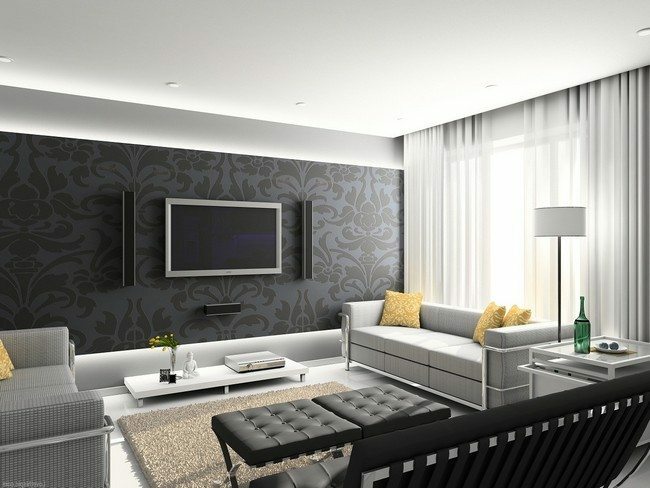 Using dark shades of grey that almost resemble black create a modern and contemporary look. 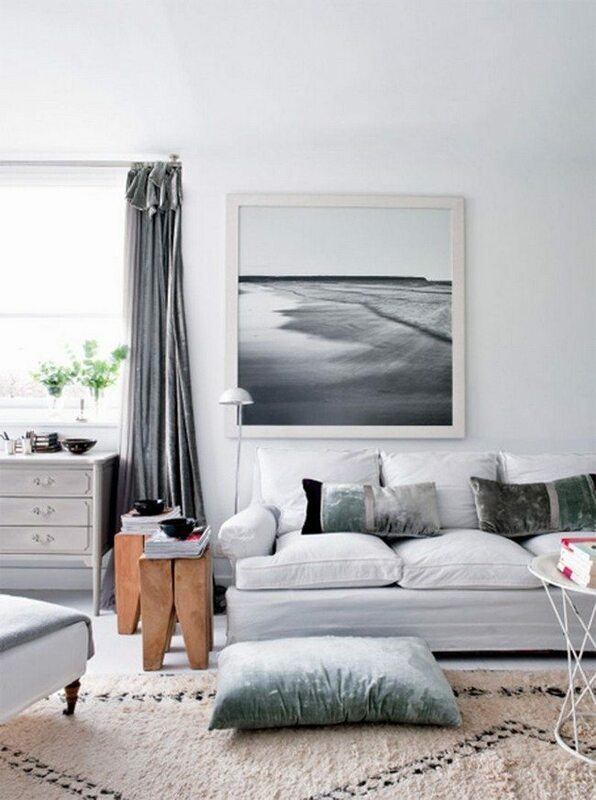 Combining pale grey surfaces and furniture with pale blue accessories such as the pale blue floor pillow above results in a calm and cozy feel. 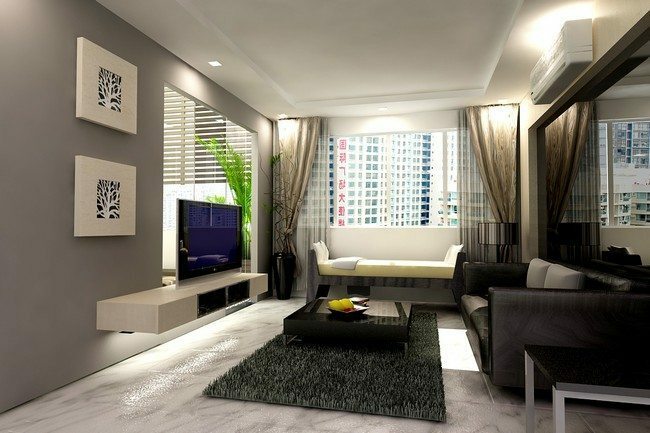 Painting the entire room white and pairing with grey accessories such as the grey carpet and grey table in this living creates a simple yet appealing grey-themed look. 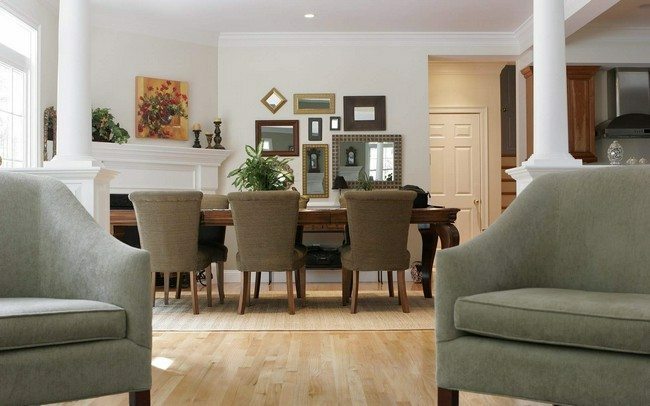 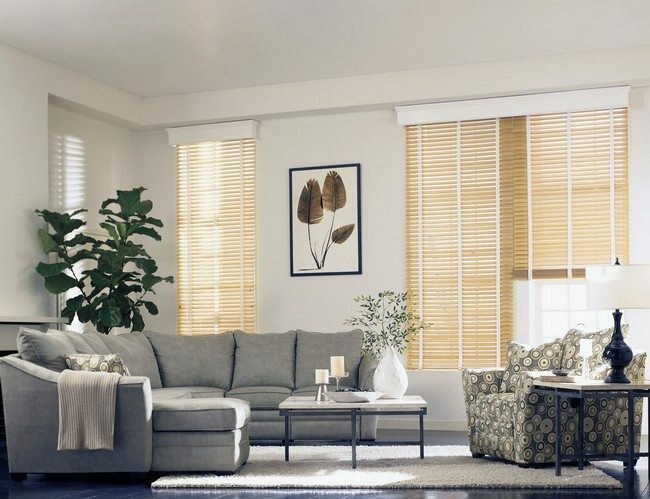 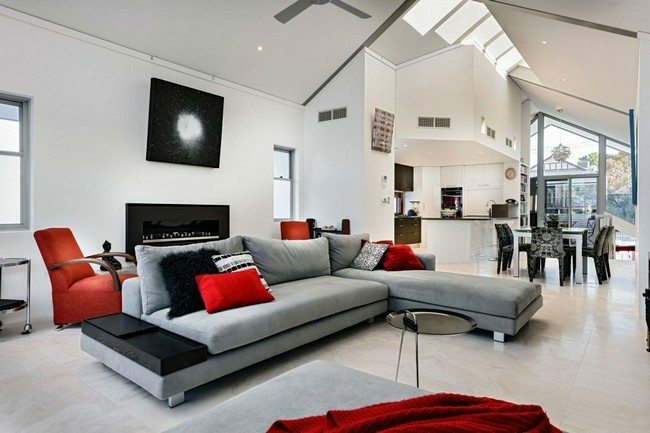 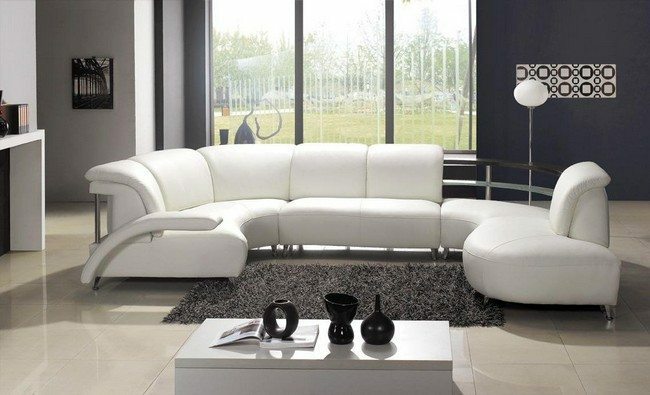 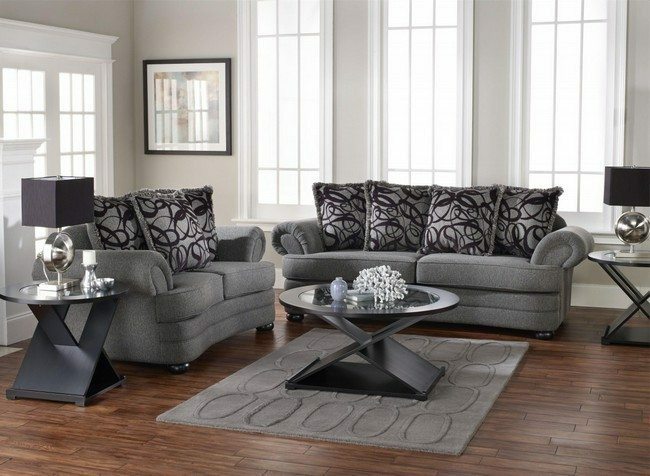 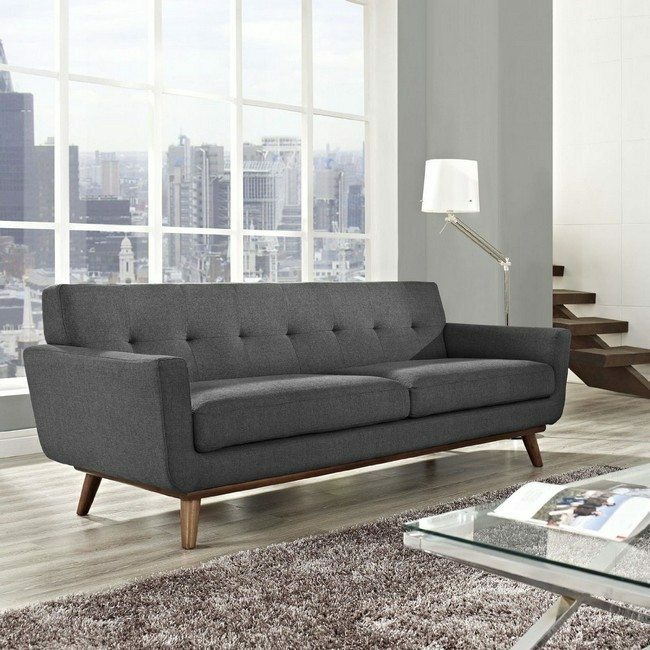 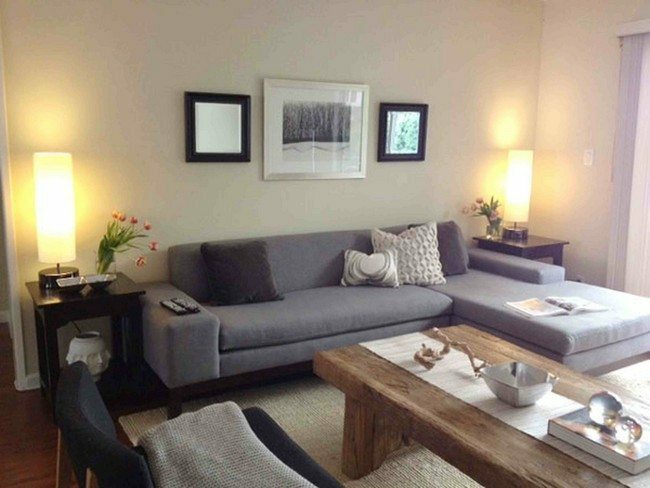 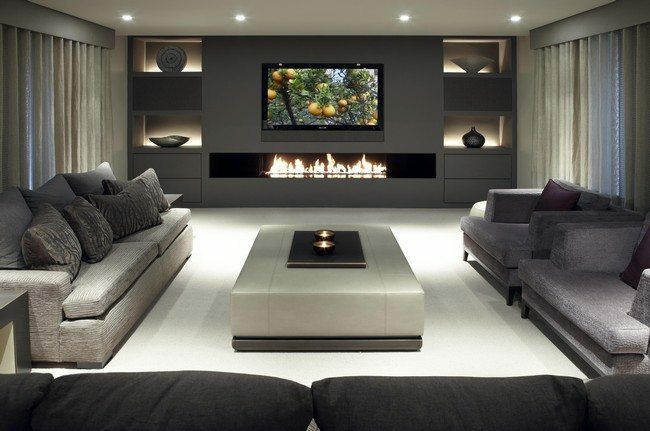 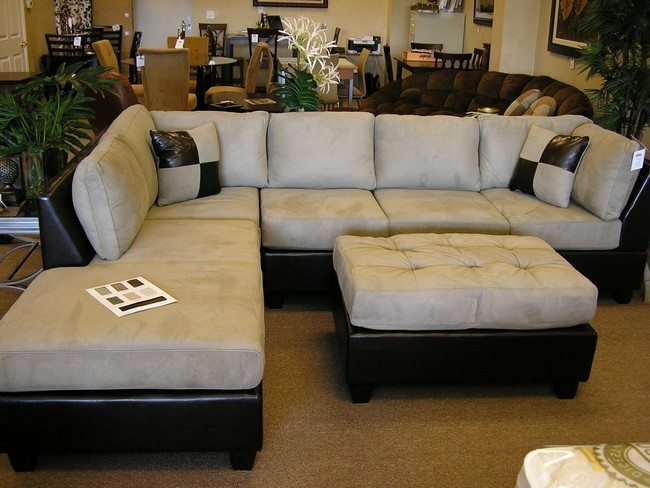 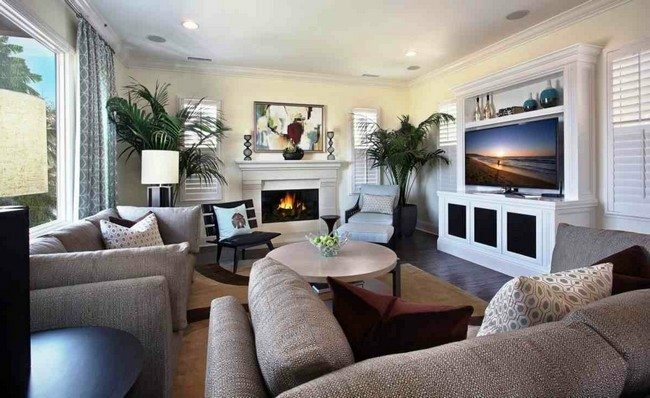 You can also opt for a neutral grey living room. 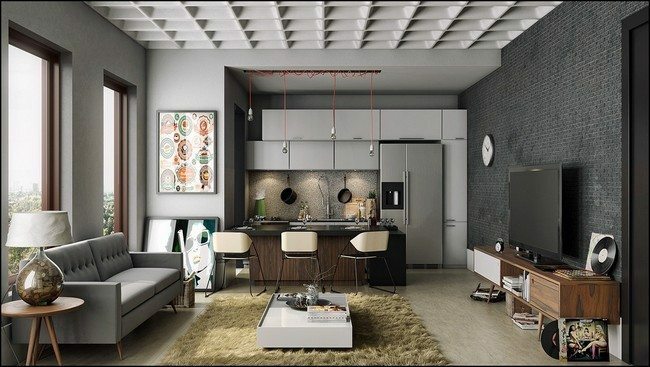 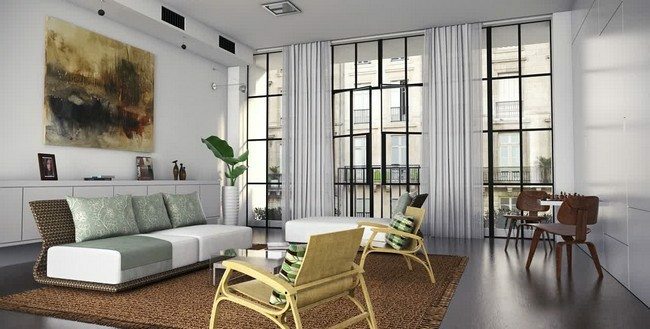 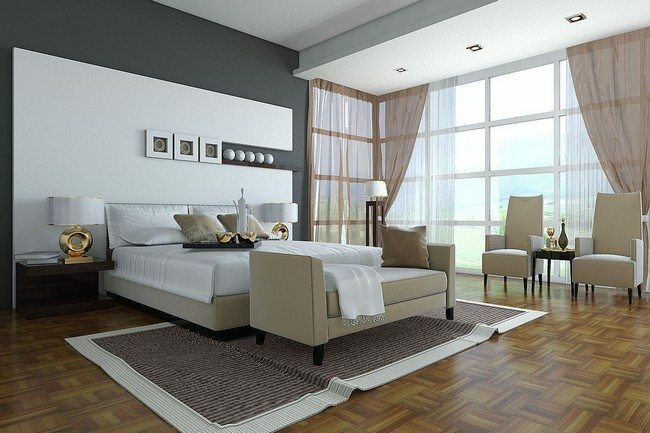 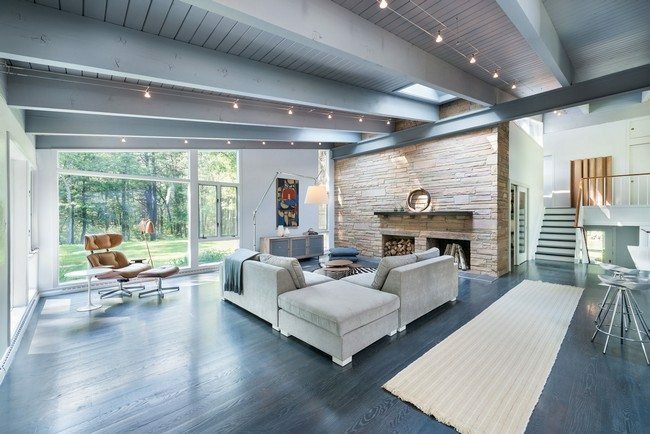 The white ceiling and light brown floor complement the light grey hues creating a simple and relaxing atmosphere. 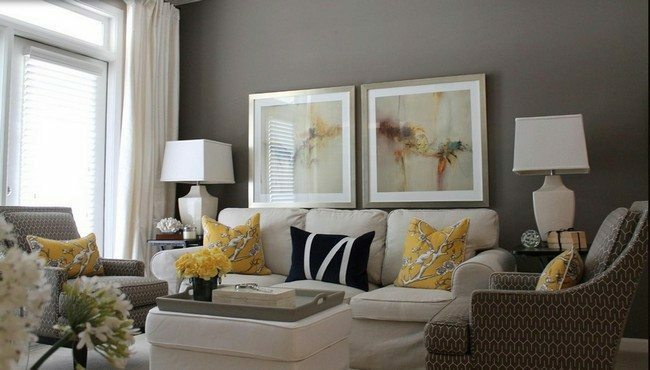 For small living rooms, you can add a few bright accessories such as these patterned yellow throw pillows, to avoid the boring look created by the use of grey colors. 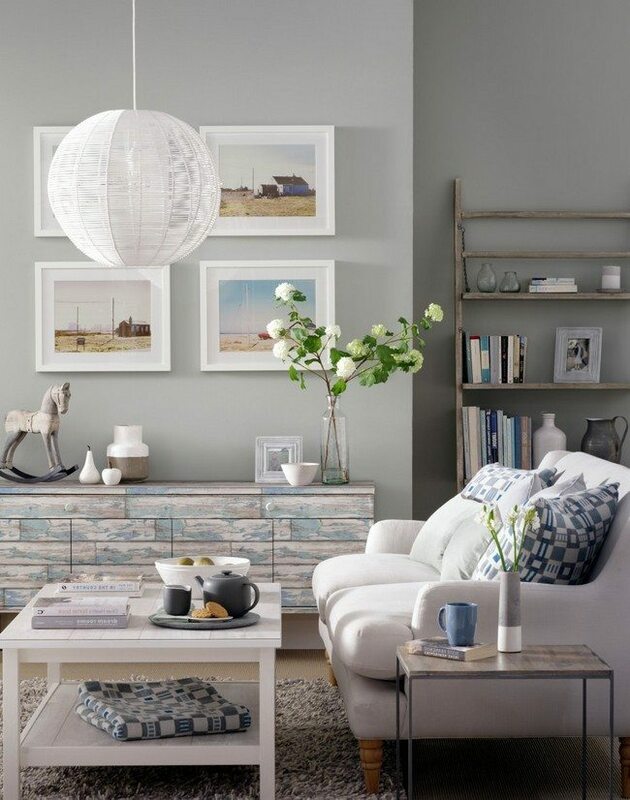 Combining grey with warm blue colors and grey in tones of grey helps create a vintage-inspired and classic look as seen in this living room. 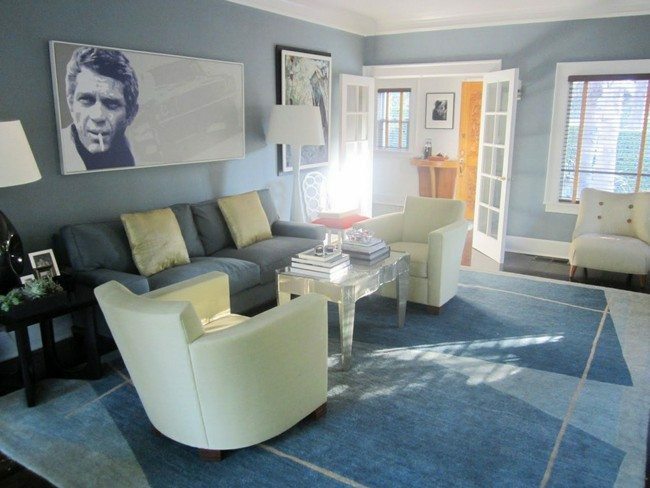 The result is an amazing blue-grey living room. 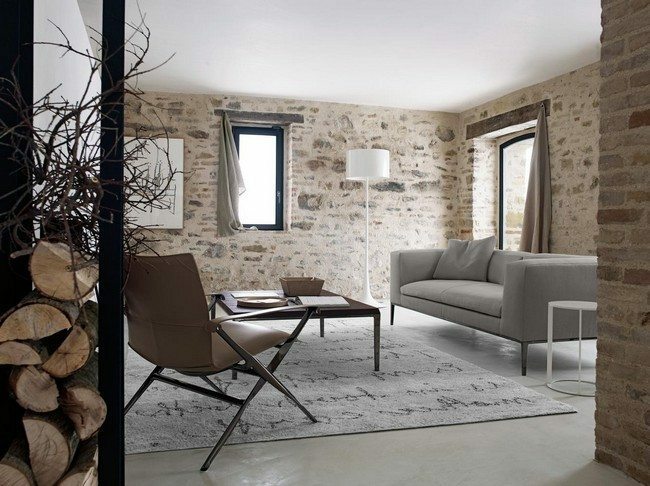 A beautiful grey look is easily achieved by using attractive grey rugs and carpets in attractive patterns. 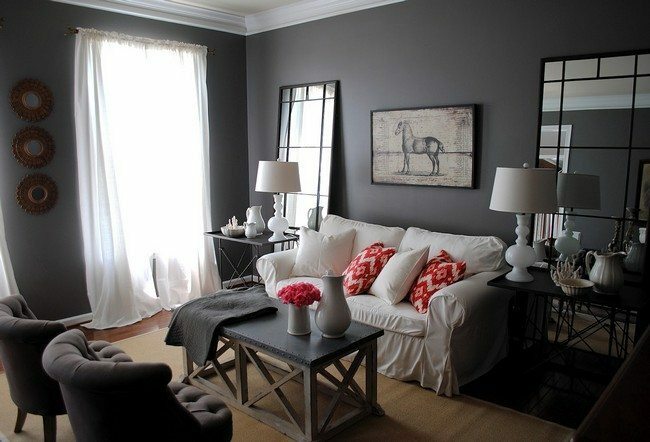 Mixing different shades of grey can easily create a beautiful look. 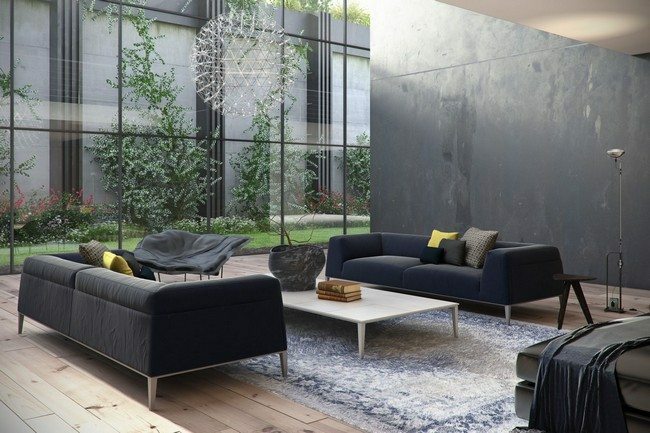 This living room combines grey in a tone that is approaching blue and a light grey tone, creating an attractive sharp contrast. 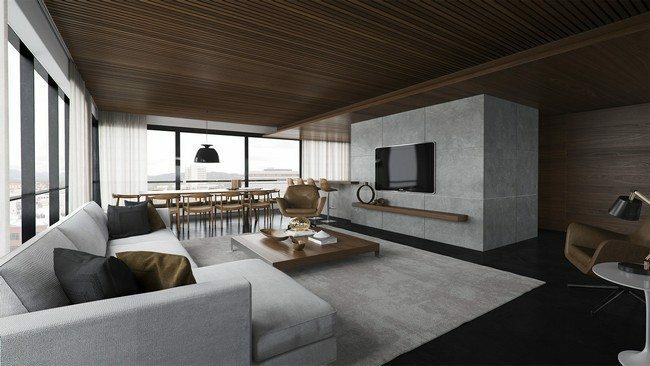 This contemporary living room mixes grey in light shades and brown-colored furniture and ceiling, creating a beautiful contrast. 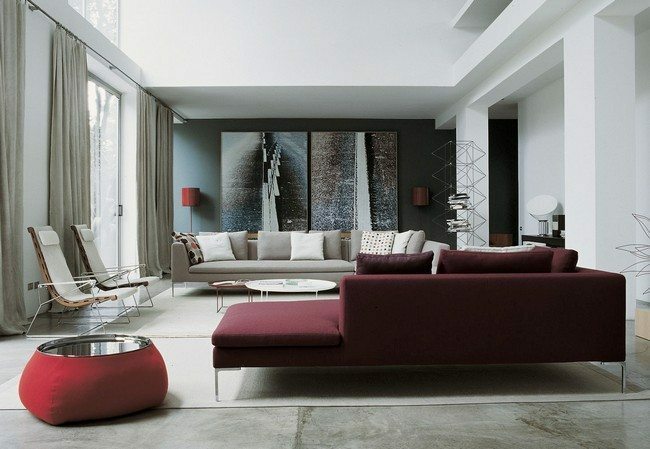 Here gray has been combined with sheer white drapes and pops of red to create a look that is cozy and relaxing.